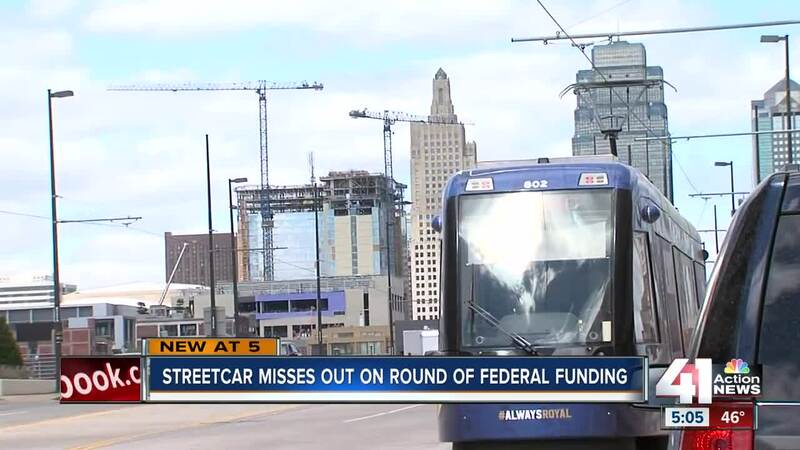 The RideKC Streetcar will not receive federal funding — at least not yet. Despite the announcement from the Federal Transit Authority about 2019 grants, the news shouldn't impact the extension's overall timeline. The RideKC Streetcar will not receive federal funding — at least not yet. The Federal Transit Authority announced five projects that it will pour money into during 2019. The Kansas City, Missouri, streetcar extension to the University of Missouri-Kansas City wasn’t on the list. That means the KC Streetcar missed out on the first round of funding it applied for, but the Kansas City Streetcar Authority urged people not to worry. The announcement Thursday doesn’t affect the timeline for completing the project, the KCSA said. The planned KC Streetcar extension will go from Union Station southbound to UMKC along Main Street. “We are way early in the process we’re in project development so we’re continuing to work on the streetcar extension,” Kansas City Streetcar Authority Communications Director Donna Mandelbaum said. The missed federal funding doesn’t delay anything on KC Streetcar's end, Mandelbaum said, and the project remains in the pipeline for possible federal money later. “I think for us to apply early on in this process helps us to tell the story of this extension to the federal government," Mandelbaum said. "We’re showing the FTA that we’re continuing progress on our already successful downtown line, so we really wanted them to know we are working on it." Last month, the FTA gave the KC Streetcar extension a medium-high rating, which Mandelbaum said should help secure future funding. The KC Streetcar Authority is asking for $151 million, which will be used in conjunction with $164 million in local funding. The FTA grants are distributed on a yearly basis, so the KCSA hopes for a different outcome in 2020. “We’re in the pipeline for the Capital Investment Grants Program, and we will work closely with the FTA and congressional leaders to make sure our project is fundable,” Mandelbaum said. The KC Sstreetcar extension project now enters the engineering phase, which Mandelbaum said hopefully will start later this year. Plans are to break ground on the project in 2021, according to a tentative schedule.